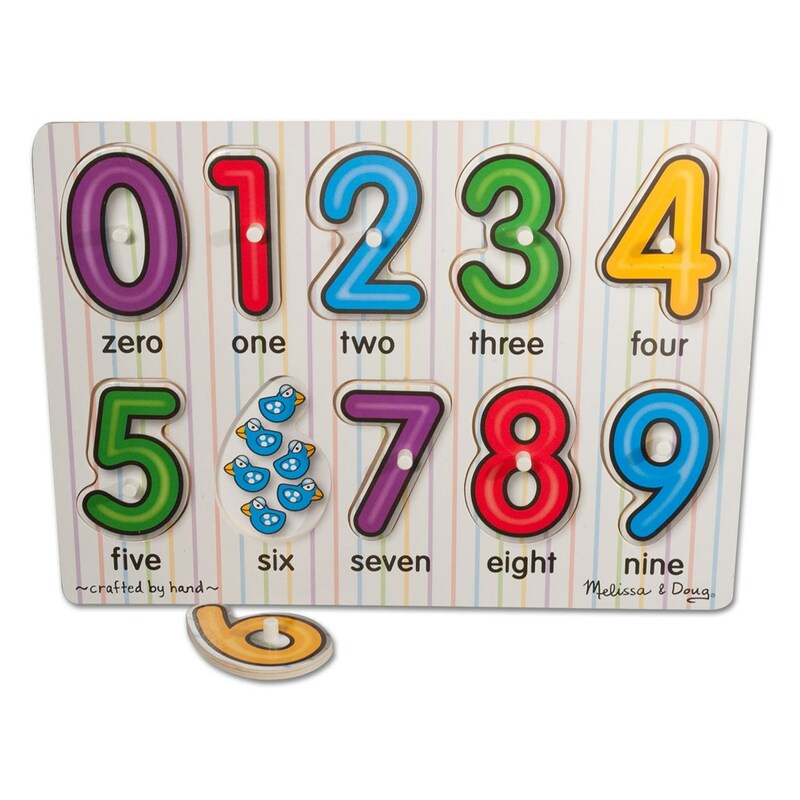 Melissa & Doug Low Vision Numbers Peg Puzzle is made of sturdy wood construction. Has easy to grab pegs, colorful bright numbers from 0-9, see-inside numbers and hidden pictures. Fun peg puzzle for learning and counting. Each number has surprise pictures underneath to count when removed from its puzzle shape. For ages 2 and up. Measures 11.60" length x 8.40" width x .40" depth. Lightweight wood puzzle weighs 9.9 oz.